This is an example of what one of Beachbody’s Social Media Managers, Amanda Meixner, does for meal prep when she’s short on time. 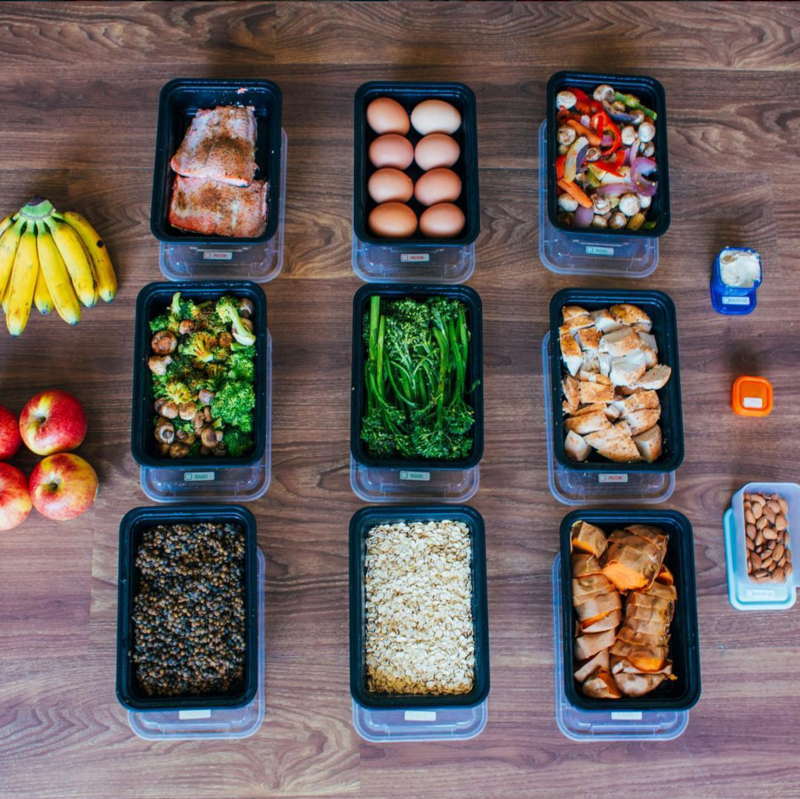 Instead of skipping her meal prep day altogether, she modified her routine to make it much faster. Instead of planning all of her breakfasts, lunches, and dinners for the week, she prepared simple foods that could be mixed and matched to create a variety of meals. Genius. I like to do this too because I don't always have time to prep foods and separate them into breakfast, lunch and dinner. I also have weeks when I have a wacky schedule and not sure where I'll be throughout the day so this works for me. For her buffet-style menu, Amanda made baked salmon filets and chicken breasts, soft-boiled eggs, steamed broccolini, sautéed mushrooms with broccoli, baked sweet potatoes, and an Asian vegetable stir-fry that came pre-chopped. She cooked a large batch of oatmeal, and stocked her fridge with salad fixings, pre-cooked lentils, apples, bananas, hummus, almonds, and balsamic vinaigrette. This simplified menu made shopping faster, and it took Amanda less than two hours to cook everything for the week! Then, each day, she used her colored Portion Fix containers to build healthy, delicious meals. Scroll down to the bottom for her grocery list. Below are two of the delicious meals Amanda made from her buffet. 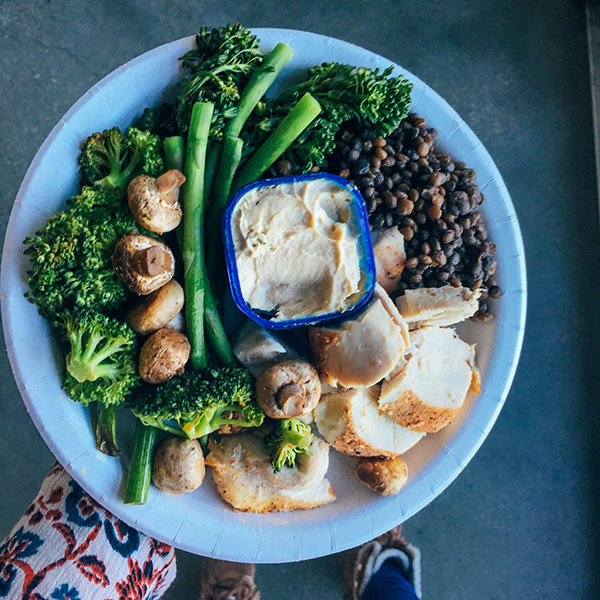 First is a lunch platter of chicken seasoned with lemon pepper and garlic powder, sautéed mushrooms and broccoli, broccolini, lentils, and hummus. This meal counts as 1 red, 1 yellow, 2 green, 1 blue, and 1 teaspoon. 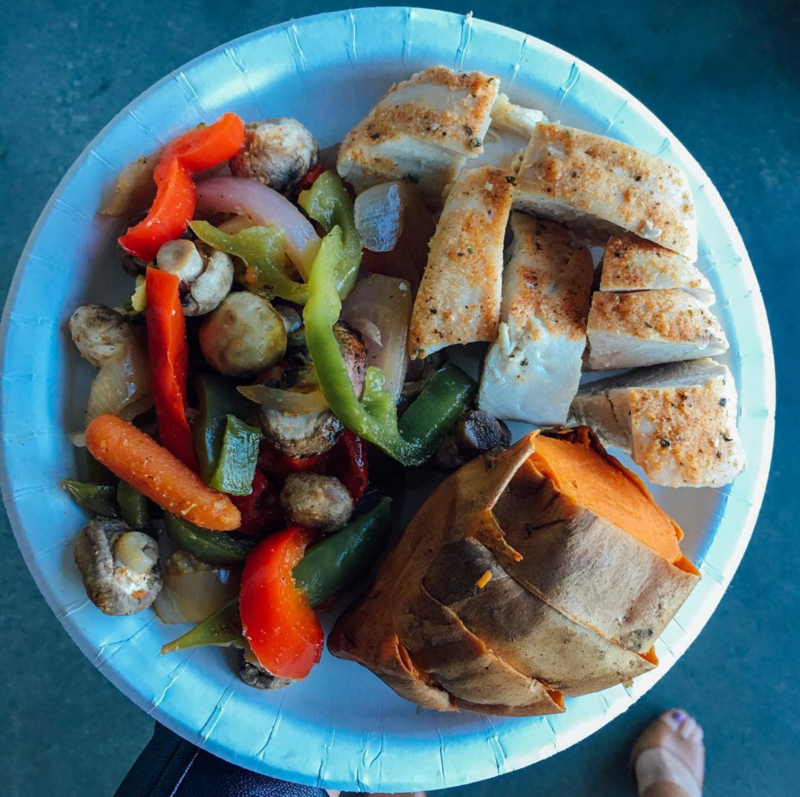 Amanda made this dinner of chicken, stir-fried Asian vegetables, and baked sweet potato in minutes from her meal prep buffet. It counts as 1 red, 1 green, 1 yellow, and 1 teaspoon.